This U.S. Navy produced show “Scrubbing In” highlights a recent visit of the Bioskills Simulation Training Center at the Naval Medical Center in San Diego, CA. The show, which typically runs between seven and 11 minutes, takes viewers around the Navy Medicine enterprise to showcase what its medical personnel do each and every day. It gives a glimpse of the myriad aspects to the Navy Medicine mission. Visit the Bioskills Simulation Training Center webpage. Scrubbing In, brought to you by the U.S. Navy Bureau of Medicine and Surgery, takes you around Navy Medicine to show who we are and what we do. 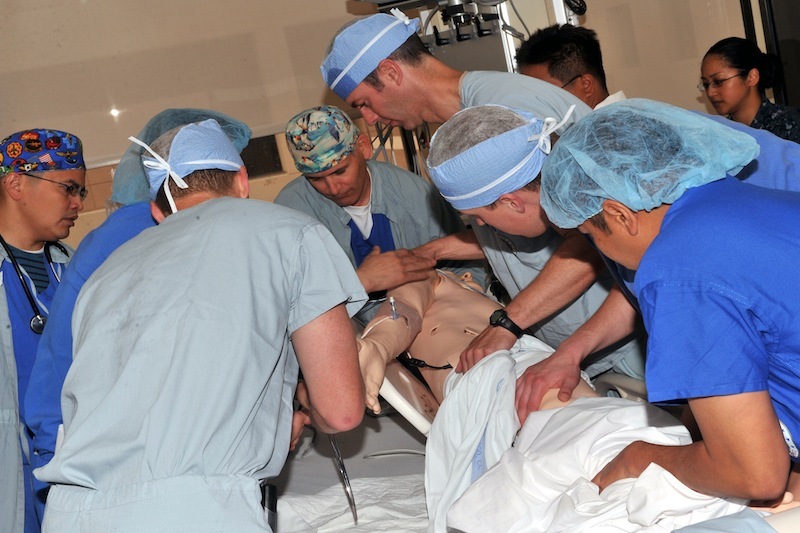 In this episode, Paul Ross travels to the Bioskills Simulation Training Center at Naval Medical Center San Diego (NMCSD) to show how Navy Medicine personnel use simulators to provide realistic training. Paul participates in a simulated medical code, the delivery of a baby, and treatment battlefield injuries. (Produced by U.S. Navy Bureau of Medicine and Surgery Visual Information Directorate, published Feb. 27, 2014). (Note: This show has nothing to do with MTV’s show with the same name). You can watch previous episodes of Scrubbing in through this DoDLive.Mil link!